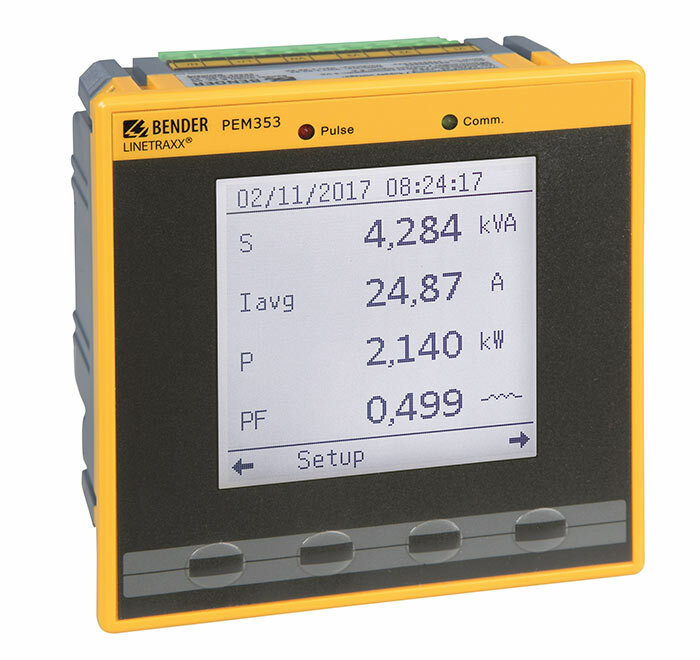 The digital universal measuring device PEM353 is used to record and display measured quantities of an electricity supply network, and make them available via the communication interface. The range of measurements extends from voltages and currents to power and energy meters to measured quantities of the voltage quality, such as THD and the individual harmonics up to the 31st order. The PEM353 is suitable for use in 2-, 3- and 4-wire systems and in their respective versions as TN, TT and IT systems. This allows monitoring single and polyphase systems. With its standardised dimensions of 96 x 96 mm, the device is intended for front panel mounting.